The concept of Memorial Gardens started in the late 1920's. The idea of using flush bronze memorials instead of upright tombstones was to serve several purposes. First, it was designed to give the cemetery a “park like” appearance rather than that of a graveyard. This was done with larger areas of green grass, landscaped common areas and beautiful features. Second, bronze memorials do not deteriorate since bronze is a semi-precious metal and does not “rust” like other metals. Therefor it is considered permanent memorialization. Third, since most Memorial Gardens are not operated by cities or townships, they are maintained by a State regulated Perpetual Care fund. That means there will always be funds available to maintain the cemetery long after it has no space available. Unlike government run cemeteries that rely on tax dollars for their care and maintenance. Most of the cemeteries operated by American Cemetery Services also offer the use of a committal chapel for services held at the cemetery. There is no fee for the use of these chapels unless visitation, full funeral services or other extended services are required. In addition to committal chapels, 4 of our cemetery locations also have full service funeral homes located on the grounds of the cemetery. This provides a unique benefit for those families choosing to use these facilities. Most of our cemeteries offer the following services and options for burial. Private mausoleums are regaining popularity in the United States. As the prices of these estates have dropped, more and more families are designing estate areas that reflect their personalities and life styles. The buildings themselves are available in a variety of sizes, shapes and colors. The mausoleum is then set in selected areas and landscaped to their specifications to include: trees and plants, paved walkways and patios, unique features, fiber optic landscape and crypt lighting, additional burial spaces, and personalized memorialization. The vault or outer burial container. The casket is placed inside the vault which is then placed in the space. Vaults are not a requirement of the State but are required by most cemeteries to help prevent the earth from caving in on the casket. Memorial or tombstone. There are hundreds of options available to families when it comes to marking the space of a loved one. Opening Closing. This is the cost of opening the cemetery space, filling the space at the end of the service, removing the flowers within 7 days of the service and reseeding the space. This also includes the cost of the administrative staff. Preparing the Interment Authorization, updating the Master Card, file, garden maps, lot books, history log sheets, filing the burial permit and interment authorization, verifying the space location, ordering the memorial and/or death dates etc. Only a few of our locations offer Lawn Crypt sections. These are double depth vaults that have been pre-installed in a specific garden of the cemetery. This option is typically less expensive than traditional ground burial since it saves space for the cemetery, uses 1 companion vault rather than 2 individual vaults and accommodates the use of a smaller memorial. 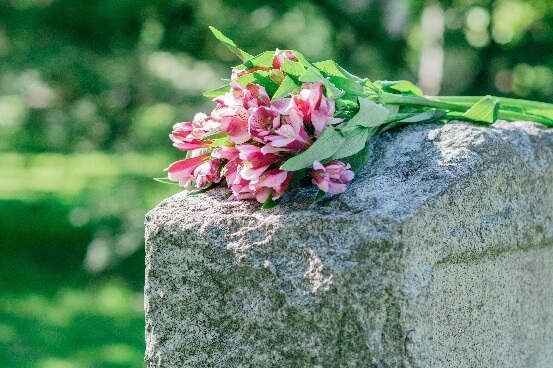 Regardless of what form of disposition you chose, one of the most important aspects of cemetery arrangements is the option of having those arrangements made ahead of time. The concept of preparing a final resting place in advance has been around for thousands of years. Pre-arranging your cemetery needs is a simple process but contains countless benefits. Not only does it freeze inflation, give you control over your arrangements, eliminate the possibility of emotional overspending, but most importantly relieves your loved ones of the burden of making those arrangements within hours of your death. All of the options listed above, and many more, are able to be pre-arranged and/or pre-funded. Please contact one of our Family Service Advisors or email us at acs@robertsfuneralhome.com and we will make arrangements for you to receive the information requested. In addition to pre-arrangement options we also provide the following educational information and programs. Seminars and Educational Programs for your group, Churches, and schools.